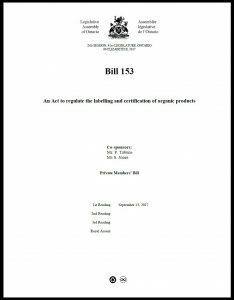 This fall, the Ontario legislature is considering a bill that would regulate use of the term “organic” in the province. If passed, Bill 153 would help fill gaps in federal regulations that currently allow products made and sold within provincial borders to be called “organic” without being certified. Regulation also offers an opportunity to build better supports for small-scale producers. It provides an important step toward better understanding challenges currently facing the sector and developing appropriate and specific policies to assure the long-term success of all producers. A report released by the Canada Organic Trade Association this past summer underscored the point, calling out Ontario for poor data collection and resource provision for the organic sector. So how can Ontario help organic producers achieve certification without the associated up-front financial risk? And what would this support look like, particularly for smaller and more diverse producers? 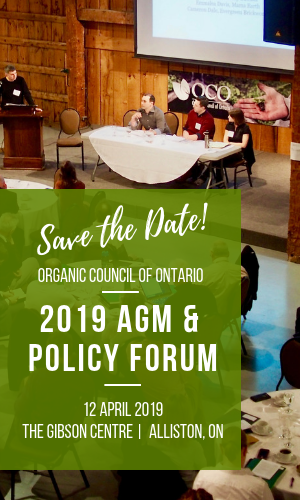 The Organic Council of Ontario will be examining this issue over the next year, with support from the Ontario Trillium Foundation. Organic production standards were developed through a long process of farmers educating themselves and each other to develop and follow best practices. Peer review and participatory guarantee systems (sometimes combined) are still discussed as ways for small producers to grow organic, particularly in parts of the world where third-body certification is too expensive or too far to access. In Canada, peer review and participatory regulatory systems have been proposed in British Columbia to help address the circumstances small producers face. Under a draft Community Verified Organic plan (based on peer review), BC producers would submit plans for crops, methods and inputs on the Certified Organic Associations of BC (COABC) web site. These would be open for review by other producers, as well as a designated certifying body, which would then arrange a site visit. Other initiatives, based on participatory regulatory systems, would see close networks of producers and stakeholders work together, with peer inspections replacing third-party bodies. The Organic Federation of Canada’s Working Group on Small Scale Organic Certification (WGSSOC) has also proposed a combined peer-review/PGS approach for small producers. Intended for provinces that do not already regulate organic production, it would see direct-market producers work together in ways it says would cut costs and paperwork, while fostering knowledge-sharing and community-building. These types of approaches can be described as temporary measures, aimed at helping small producers work towards meeting federal standards in the face of a lack of provincial regulation or support. They can be be difficult to sustain for producers in more remote areas, and can require members to commit time and energy beyond their own operations. Peer-based systems may also lack transparency, consistency or oversight, a point recognized by the COABC in its research. The association recommended incorporating third-party certification as part of potential peer-review/PGS initiatives. Some jurisdictions offer a low-risk designation for smaller producers as an alternative to regular third-party certification. This could see lower fees and less direct monitoring for small farmers, who might then receive a specific type of organic certification. Inspections may occur every few years, instead of annually, and as a result, this designation may not necessarily mean producers comply with federal standards. 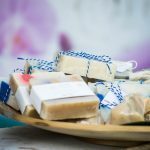 The Certified Organic Associations of British Columbia’s Low Risk Program, which is open to operators who only trade within provincial boundaries and have been certified for at least three years. Inspections occur every three years, but operators must submit annual farming plans, and can be subject to random inspections. Pro-Cert’s “local organic” pilot designation for organic production in Ontario under 10 acres. It follows the Canadian Organic Standards, including the 36-month transition period, but does not also then require farmers to apply for certification 15-months ahead of when they expect to market their products. As well, local organic farms will see less frequent inspections (depending on Pro-Cert’s inspection schedule for each farm) and producers must sell only within the province. The company says it was meant specifically for provinces that don’t already regulate organic. 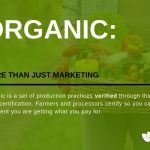 Producers who certify can access a Pro-cert logo but do not receive an organic certificate that is recognized federally. Producers pledge their commitment to organic practices, make a public statement about their methods, and possibly engage in a training or inspection process. This approach was one of two recommended by the OFC’s WGSSOC in 2014. 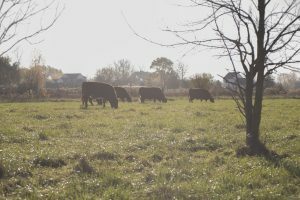 The Self-Declaration Model would see producers publicly commit to following the Canadian Organic Regime, with their pledges accessible online. However, the COABC has argued that pledge systems are difficult to monitor and enforce, and emphasize what to avoid over what to do to ensure best practices are followed. In Ontario, one approach might see a pledge system for a certain scale or type of farm (for example, farmers that direct market only) and could require that interested operators attend a training on the Canadian Organic standards before signing a public commitment to strictly adhere to them. Participants’ pledges could be included in a public registry and receive access to the Foodland Ontario Organic logo. They could also be subject to random third-party inspections to assure compliance with the standards. The same regulations and punitive measures could apply to them for any misuse of the term “organic” or non-compliance with the standards. The whole program would cost operators a nominal registration fee to fund the training, registry and possible inspections. Direct supports for producers, via subsidies or matching funds, have become commonplace among those provinces that regulate organic in Canada. For instance, in 2015, Quebec announced a $9-million strategy for the organic sector, including support for transition, promotion and research. Operators can receive payments of up to $20,000 to offset transition costs for horticulture and maple, and up to $20,000 for livestock, for a maximum of $40,000 per operator. New Brunswick and Nova Scotia also provide support for up to 70 percent of certification costs, to a maximum of $500 — with some differences in the number of years covered. New Brunswick also offers up to $4,500 for training costs, and will match up to 60 percent of consultation costs. In the United States, the USDA also provides financial support for transitional farming — up to 75 per cent, to a maximum of US$750. The options outlined above offer a starting point for building solutions for small producers — a key part of maintaining the growth of Ontario’s organic sector. The introduction of legislation to regulate the term “organic” in Ontario does not preclude any of these approaches. On the contrary, the legislation would allow for a tailored program or approach to be legally recognized within the province. Similar to BC, where both federal and provincial standards are recognized within the law, Ontario could potentially adopt the federal standards but also offer a small-scale solution.